There are several reasons why someone may want to look for alternatives to the Amazon Affiliate Program. Amazon doesn’t allow affiliates in several states. While they began accepting affiliates in Colorado in February of 2016, citizens who live in North Carolina, Illinois, Rhode Island and Arkansas still are barred from being an Amazon affiliate. Walmart is gearing up to be more competitive with Amazon with their online offerings. If you’ve had problems working with Amazon, because you live in a state they disallow for tax purposes, consider utilizing Walmart’s affiliate program. 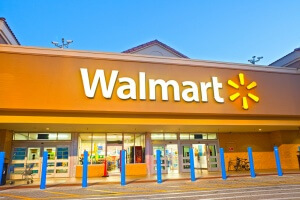 You can sign up to become a Walmart affiliate here. Note that it states there are “Contests and extra opportunities to earn commissions”, which may include a boost in commissions depending on the volume you sell. If you have a problem selling Amazon products, Walmart can be a viable option now that they’re greatly increasing the amount of goods they offer online. While we’re discussing alternatives to Amazon, consider Target. Target has an affiliate program which allows you to earn up to 8% commissions. 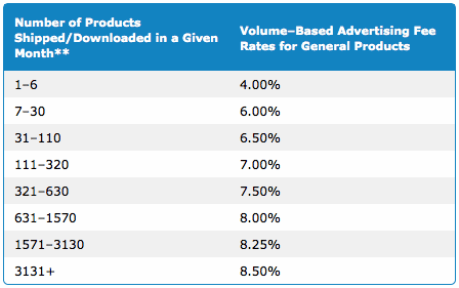 Notice that commission rates with Target start at around 5% on many products, which is above and beyond both Amazon and Walmart. Following is Target’s commission structure. While commissions for electronics, toys, health and beauty seem rather abysmal, those on clothing, home furnishings, outdoor gear and even baby items seem to outweigh commissions from Amazon. I’m currently an Amazon affiliate, and I can tell you that often visitors I send to Amazon buy far more than what I originally sent them for. I get commissions for products I don’t even feature. This is part of the benefit that Amazon has, when they offer over 200 million products. That’s more products than you can physically find in your local Walmart (which usually ranges around 150 million products). 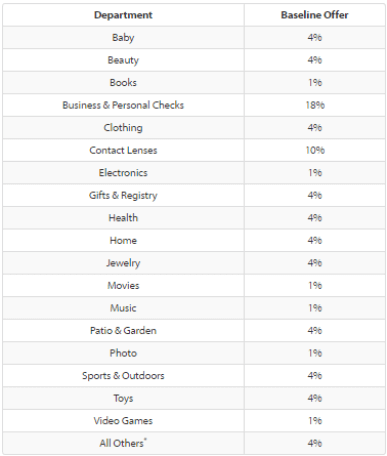 The fact that Amazon sells everything, and that people typically buy more through your affiliate link than what they originally visited to purchase, is an extra profit center you have with Amazon that was previously not as available with Walmart, though Walmart is now catching up. Another interesting thing is the length of cookies. Amazon has a 24 hour cookie for your affiliate commission, then it expires. Target has a 7 day cookie. Walmart’s cookie lasts for 3 days. Ebay has a deal where they pay double your commission for the first three months, at least at the time I’m writing this. With eBay, you earn between 40% to 80% of eBay revenue – in other words, 40% to 80% of what eBay earns. eBay is a little different than many other types of retail outlets, because often what is being sold is used. eBay isn’t the one who fulfills the orders, but instead it’s an auction site where people sell their goods. eBay charges a commission, and you receive between 40% and 80% of the profits eBay makes. Here’s some more affiliate ideas. 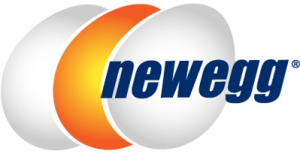 If you’re big into electronics, NewEgg is one of the leading online retailers of computers and hardware. Though commissions start at just 1%, your commission boosts are permanent. As soon as you’ve sold $200,000 worth of items (no matter how long it takes), your commission goes to 1.5%. It goes up again to 2% when you’ve made $400,000 in sales. Finally, you can achieve 2.5% after $800,000 sold. Their affiliate signup page is here. 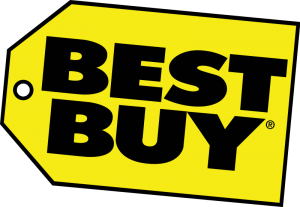 Best Buy also has an affiliate program for electronics. They start out at 3% on many items, such as TVs, digital cameras, home theater systems, video game hardware, books, music and movies. However, their commission rate drops to just 1% for desktop computers. They offer no commission at all for laptops and notebooks. 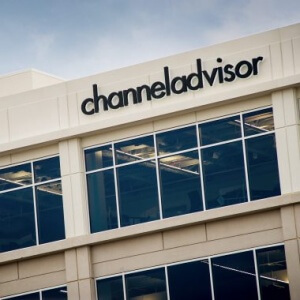 These are a number of alternatives to the Amazon associate program. Amazon is certainly an excellent affiliate program, I consider it the gold standard. With over 200 million products for sale, Amazon lets you open an online store and sell virtually whatever you desire. Unfortunately, many people are unable to take advantage of the Amazon affiliate program, based on where they live. In addition, depending on your desired niche, you may be able to find better commission rates at another online eCommerce site.